Pressia barely remembers the Detonations or much about life during the Before. In her sleeping cabinet, she thinks about what is lost–how the world went from amusement parks, movie theaters, birthday parties, fathers and mothers . . . to ash and dust, scars, permanent burns, and fused, damaged bodies. Tell us a little bit about where the inspiration and idea behind Pure came from? Well, there are so many small infinitesimal moments of something like inspiration that accumulate. For one thing, when you have very small children you often feel like they are fused to you. But too I read an early bit of the novel to my daughter who’s now 16, the age of the main character, and she thought it was the best thing I’d ever written and urged me to write it. So in many ways I wrote it for her. Where is it set and what is the world like in comparison to our world today? It’s set outside of Washington DC — a world that’s been detonated, turned to ash. There are Beasts and Dusts and Groupies though I don’t want to ruin anything by defining those terms. There’s a dome that’s survived the detonations. Characters from these too worlds collide. Do you have a play list for the book? I wrote to The Smith’s “How Soon is Now” a good bit. And there’s a Bruce Springsteen song eluded to in the novel, as well as songs and nursery rhymes that appear in the book itself. Who do you see cast as your main characters? Well, the PURE Trilogy has been optioned by Fox2000, but I don’t think they’ll be asking Baggott who I want to cast. It’s hard for me because the characters are fairly young — from 16-20. I don’t know many actors in that age range. What books and authors have most inspired you as an author? What has been the most rewarding part of the journey behind Pure and getting published? For me, it’s always about my relationship with the page and access to the brilliant editorial minds involved. I’m engaged in the work, the words, the world, the characters. The publishing part of it is what people think will be the grand reward for the hard labor. But, for me, the writing is the reward. Going public can be difficult in ways you can’t quite predict. And, in the end, this is solitary work. Any new books in the works? 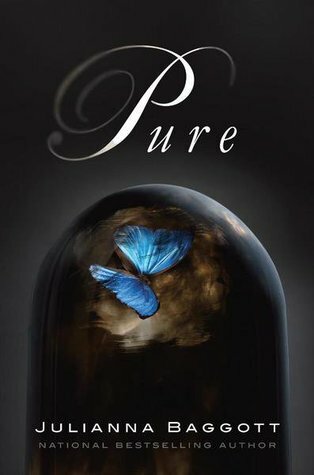 PURE is part of a trilogy so, yes, two more books are in the works. F– USE will come out this time next year. Any inside info or a small deleted excerpt you can share? There was a character I loved. He had a point of view and a major role in the plot. But I had to cut him in one of the drafts. Arturo. I still miss him. 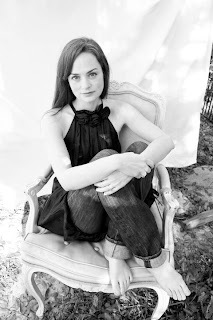 About the author: Critically acclaimed, bestselling author Julianna Baggott has published fourteen books over the last ten years with five novels slated for publication in the next four years. She began publishing when she was twenty-two and sold her first novel while still in her twenties. There are thirty-one foreign editions of her novels to date. After receiving her M.F.A. from the University of North Carolina at Greensboro, she published her first novel, Girl Talk, which was a national bestseller and was quickly followed by Boston Globe bestseller The Miss America Family, and then Boston Herald Book Club selection, The Madam, an historical novel based on the life of her g…moreAlso writes under the pen names N.E. Bode and Bridget Asher. Critically acclaimed, bestselling author Julianna Baggott has published fourteen books over the last ten years with five novels slated for publication in the next four years. She began publishing when she was twenty-two and sold her first novel while still in her twenties. There are thirty-one foreign editions of her novels to date. After receiving her M.F.A. from the University of North Carolina at Greensboro, she published her first novel, Girl Talk, which was a national bestseller and was quickly followed by Boston Globe bestseller The Miss America Family, and then Boston Herald Book Club selection, The Madam, an historical novel based on the life of her grandmother. She co-wrote Which Brings Me to You with Steve Almond, A Best Book of 2006 (Kirkus Reveiws) optioned by Richard Brown with Natalie Portman attached to star. She also writes bestselling novels for younger readers under the pen name N.E. Bode as well as under Julianna Baggott. The Anybodies trilogy was a People Magazine pick alongside David Sedaris and Bill Clinton, a Washington Post Book of the Week, a Girl’s Life Top Ten, and a Booksense selection; The Slippery Map (fall 2007), and the prequel to Mr. Magorium’s Wonder Emporium (2007), a movie starring Dustin Hoffman, Natalie Portman, and Jason Bateman. Bode is a recurring personality on XM Sirius Radio. Baggott also has a highly acclaimed career as a poet, having published three collections of poetry and having been published in the best literary publications in the country, including Poetry, The American Poetry Review, and Best American Poetry. Baggott’s work has appeared in over a hundred publications, including the The New York Times, The Boston Globe, Glamour, Ms., Real Simple, and read on NPR’s Here and Now and Talk of the Nation. Her essays, stories, and poems are highly anthologized. She lives in Florida with her husband writer David G.W. Scott and their four kids, and is the assistant director of Florida State University’s Creative Writing Program. Along with her husband, Baggott co-founded the nonprofit organization Kids in Need – Books in Deed, that focuses on literacy and getting free books to underprivileged children in the state of Florida.